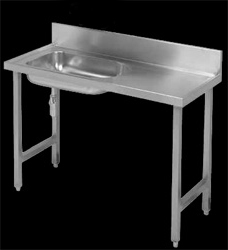 Hospital stainless steel baby bath (Franke model CB) is 1 500 x 555 mm or 1 320 x 555 mm (right hand or left hand versions), manufactured from grade 304 (18/10) stainless steel 1,2 mm thick with a 150 mm integral splash back to the rear. 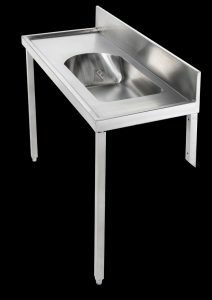 This baby bath unit to be fitted with a one piece pressed semi circular bowl measuring 695 x 385 x 150 mm deep with a 40 mm waste outlet. 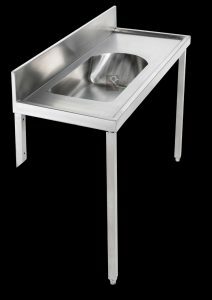 The pressed seamless bowl is designed for the highest level of hygiene and durability.The underside of the drainer has vermin proof bitumastic sound deadening supported with a galvanized backing sheet. 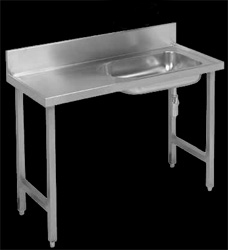 The hospital stainless steel baby bath is fixed 900 mm high from the top of the front apron to the finish floor level with anchor bolts (bolts specified elsewhere). 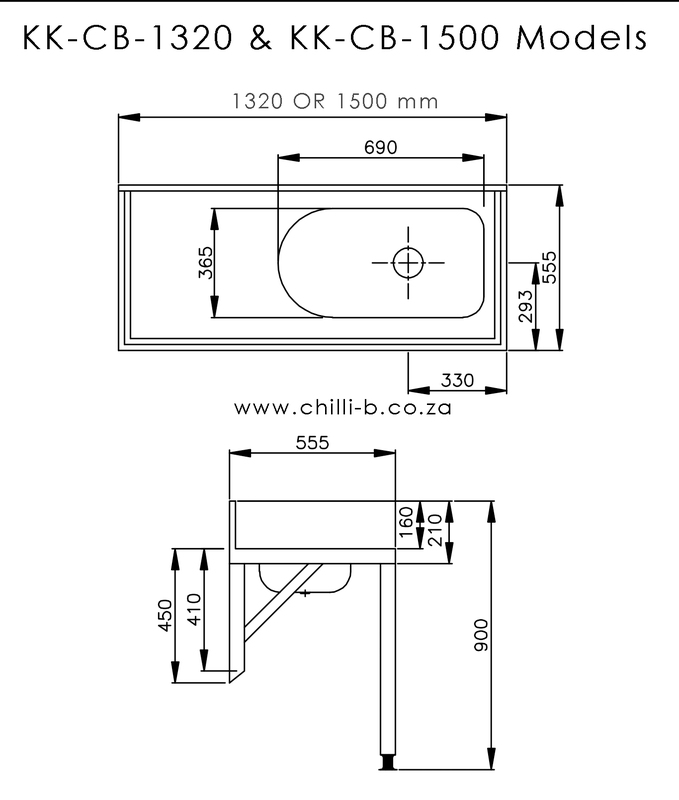 This unit can either be fixed to a table for a freestanding unit or be fixed to the wall with gallows brackets which have a detachable front leg. Please refer to fixing table for fixing options. 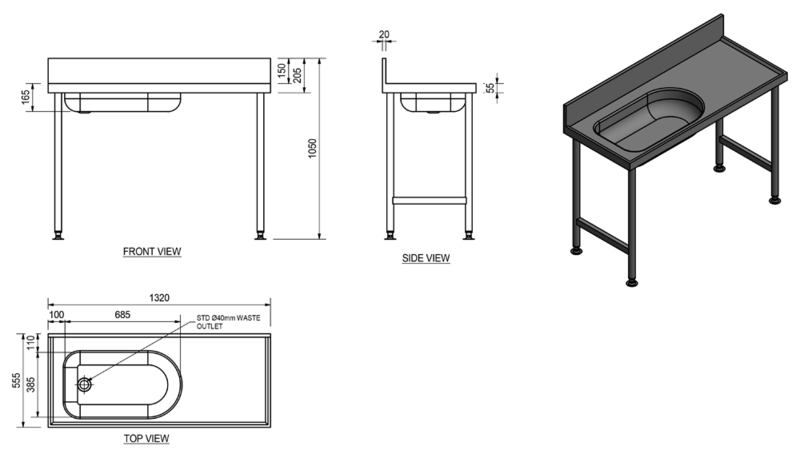 This is a non-stock item and has a manufacturing lead time of 22-26 working days.